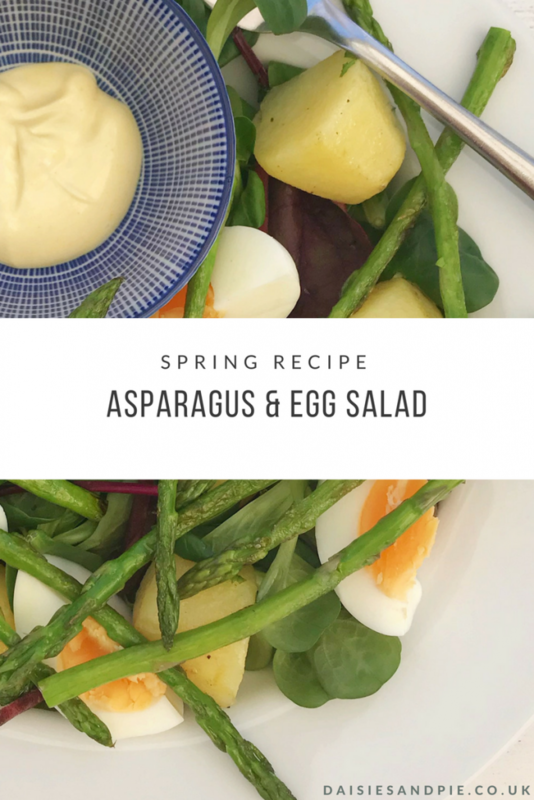 Asparagus and egg salad is literally spring on a plate – it’s light, delicious and oh so easy to throw together. Perfect for laid back weekend lunch. You’ll only need a handful of ingredients too – we just love recipes like this! Bring a pan of salted water to the boil add the eggs and potatoes and boil for around 7-8 minutes until potatoes are just tender. Whilst the potatoes and eggs are cooking - melt a knob of butter in a frying pan and fry the asparagus until just tender - remove to some kitchen paper to drain off any excess butter. Once the potatoes are cooked, drain the water - remove the eggs, allow to cool a little and take off the shells. Tip the potatoes into the pan the asparagus cooked in and coat in the leftover melted butter-sprinkle in the chopped herbs. Mix up the mustard with the mayonnaise and divide into two little bowls. 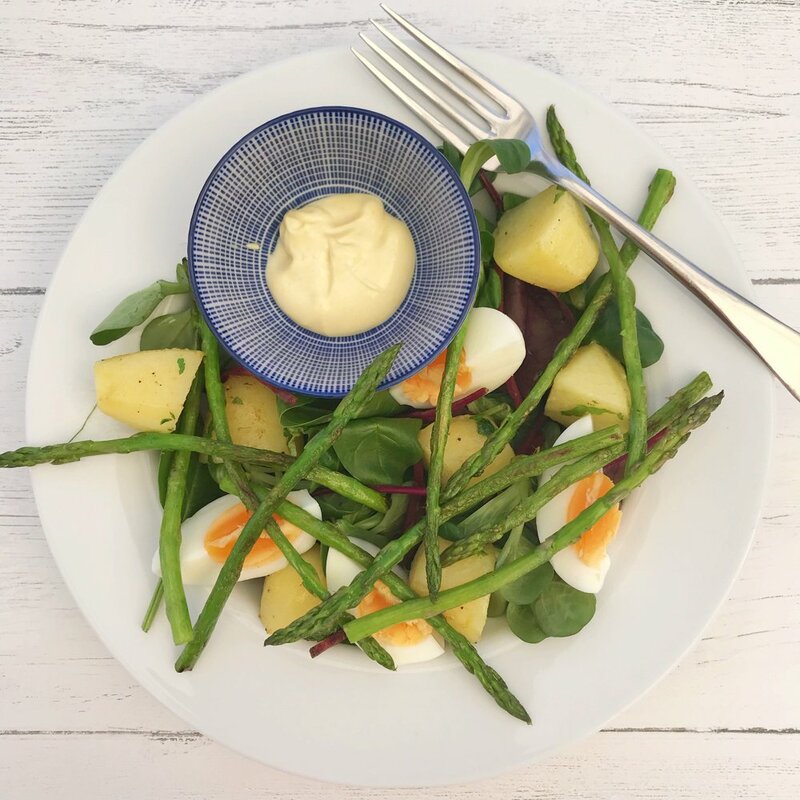 To assemble the salad - divide the salad leaves between the plates, top with the buttery potatoes, slice the eggs into quarters and lay over the asparagus - tuck the little bowl of mustard mayonnaise in amongst everything for dipping. add in some crispy bacon. try the egg poached instead of boiled. 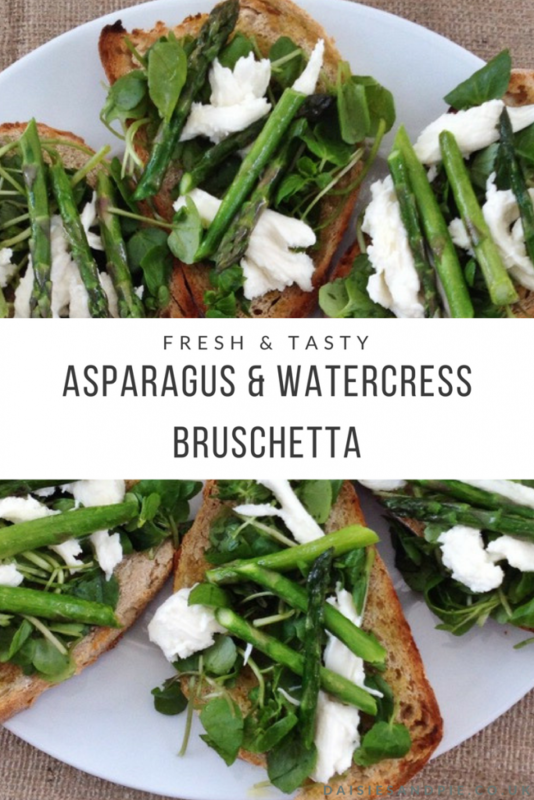 add some crusty bread and a glass of chardonnay for a light, easy dinner.